Anglian Water is to use flow machine energy storage units to optimise the solar generation at one of its water treatment sites in what the company has called ‘a pathfinder for future projects’. An order for a combined 60kW/300kWh system has been placed with redT under a new collaborative partnership agreement to optimise energy storage across their water utility sites. 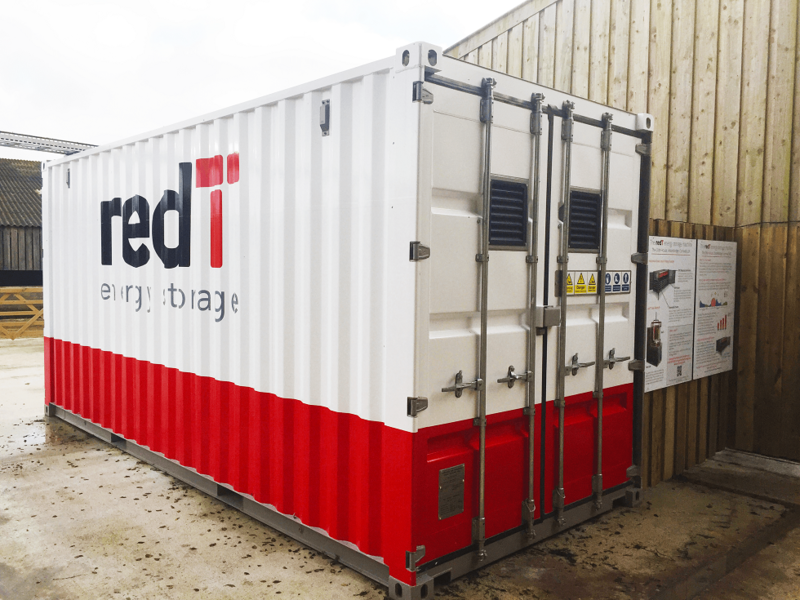 Four of RedT's recently available Gen 3 units are to be installed within the next six months at an unnamed water treatment site in Norfolk where Solar Power Portal understands that a new 500kWp solar installation is to be installed. The project will mark the first commercial deal for redT’s third generation flow machine in the UK, and follows the announcement of a two-phase deal with developer Energy System Management that will see 770MWh of Gen 3 units deployed in Germany. Further announcements of UK deals are expected to follow. Scott McGregor, chief executive of redT, said: "We are proud to partner with Anglian Water as a leading water utility to optimise energy storage coupled with solar to reduce energy costs. “Supplying over 1 billion litres of water and treating over 950 million litres of used water every day, we are pleased to be partnering with Anglian Water to roll out our flexible energy storage infrastructure to the water industry. “Cost of energy for industry in the UK continues to increase and it now makes simple commercial sense to embrace solar and energy storage as infrastructure to reduce energy costs to business." Open Energi has been selected as the aggregator for the project, taking the installation into the UK grid services market. Offering five-hour duration, the battery would achieve favourable de-rating factors within the Capacity Market, but will need to be aggregated with other capacity to overcome the minimum entry threshold. However, McGregor told SPP that 80% of returns on the company’s projects “have nothing to do with grid services”, offering a key difference from the UK’s battery storage market which often chases such services in order to build a revenue stack. “What we're doing here is completely different to what the battery market is doing. This is all low risk infrastructure which allows for true distributed energy behind the meter, and it's great for the solar industry because we [can] double or more the solar on site,” he said. With over 1,200 water treatment and water recycling centres, supplying services to over 6 million customers across the East of England, Anglian Water is reportedly the largest electricity user in the region. It hopes the redT installation will enable it to use significantly more solar on-site by storing excess generation for use at other times of the day. This solar ‘firming’ will reduce grid import and energy spending while providing some protection against volatile energy pricing. Once completed, the installation will remain on site for up to 25 years without needing to be replaced owing to the non-degrading nature of the redT machines, which can also be cycled more often than alternative battery systems.